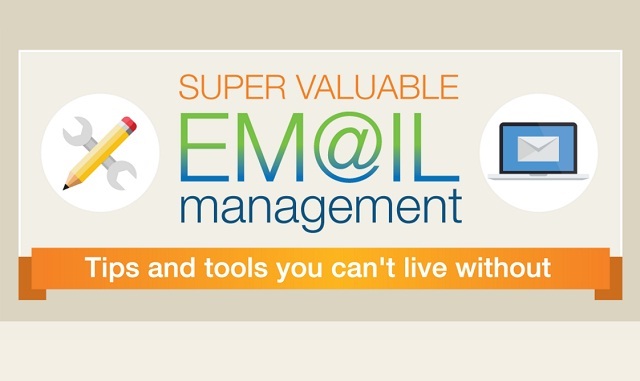 Super valuable email management tips and tools you can’t live without #infographic ~ Visualistan '+g+"
Each and every day, 193.3 billion emails are sent around the world. More than half of those are business emails. The average person spends 28 percent of the workweek reading and responding to email, which equates to 13 hours a week. So what do we do about all this email dependence? Thankfully there are tools and strategies to cut down on inbox overload and get organized. Considering an estimated two thirds of the emails in an average inbox are not important, regular inbox cleaning, archiving, and unsubscribing can do wonders. Project managers and instant messaging systems, including Slack, Pie, Rocket.Chat, and Team Tracker App, can all help workers collaborate without (or with fewer) emails. Check out the infographic below to learn how to cut down on your outgoing and incoming emails.